Park Hyung Sik is one of the most popular Korean celebrities of the present time. Simply known as “Hyungsik”, this 26-year-old heartthrob has fans all over the world. Started his career as a singer, he gradually moved into acting. Known for his defining roles in shows like High Society and Strong Girl Bong-soon, he is certainly on a rise. If you are also his fan, then you should be aware of his previous works as well. Read on and get to know more about some of the best works of Hyung Sik so far. Born on 16th November, 1991 – this 26 year old Korean singer, dancer, and actor is a truly a diverse superstar. He first appeared in a music video way back in 2009. The next year, he debuted in the famous boy band, ZE:A. Shortly after gaining popularity for his music, he started working on his solo career. He got a major breakthrough by appearing in the reality show, Real Men. In 2015, he got a leading role in High Society, which put him on the map. Shortly after that, he got into other prominent and commercially successful shows like Strong Girl Bong-soon and Hwarang: The Poet Warrior Youth. Park Hyung Sik is one of the core members of the boy band, ZE:A. The band has been active since 2010 and has delivered lots of popular tracks. If you are also a fan of his voice and dance moves, then you should certainly check out these amazing videos of the band as well. Besides ZE:A, Park Hyung Sik has worked on some solo projects as well. Give these songs a listen that feature Hyung Sik as a lead artist. As you might already know, Hyung Sik has been in numerous Korean dramas and variety shows. Here is our list of some of his best shows that every fan should watch. This is one of the most anticipated Korean dramas of 2018. The popular American series Suits has a global audience. Its South Korean adaptation will be telecasted from April 2018. 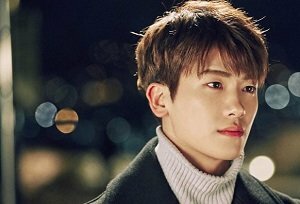 Park Hyung Sik will portray the role of Mike Ross, who joins a law firm without having any degree and starts practicing with his boss. One of the most popular Korean shows of all time, it stars Park Bo-young as a super-human (Bong-soon) and Hyung Sik as her love interest. It was aired from February to April in 2017 and gained Hyung Sik an immense popularity for his role. He was even nominated for a few awards for his honest and charming portrayal of Ahn Min-hyuk (a rich CEO who appoints Bong-soon as his bodyguard). If you have a thing for period dramas, then you should definitely watch this amazing show. It stars Park Seo-joon, Go A-ra, and Park Hyung-sik in their career-defining roles. The show is about a group of people living in the Silla Kingdom. It involves love, passion, sacrifice, and so much more. The show only has 20 episodes and will certainly keep you hooked till the end. High Society is another hit Korean drama that got Park Hyung Sik in the limelight. It was released in 2015 and had a run of 16 episodes. In the series, he played the role of Yoo Chang-soo, a wealthy man who falls in love with a wrong woman. The show revolves around the lives of people from different classes and how wealth can define our decisions. It received positive reviews from both, viewers and critics. 5. What Happens to my Family? This is another popular drama that starred Park Hyung Sik along with plenty of other actors. It is the story of a widower (Cha Soon-bong) and how he devoted his life for the happiness of his kids. Later, he discovers that he is suffering from cancer, which changes his priorities and the entire course of his life. The series has a total of 53 episodes and gained tons of awards as well when it was on the air. Also known as “The Inheritors”, the series aired way back in 2013. It has a diverse cast, including Park Hyung Sik, who portrayed the role of Jo Myung-soo (the son of a rich CEO). Even though he had a supporting role, he was able to leave a prominent impression on the viewers. Besides Korean dramas, Park Hyung Sik has also appeared in a few variety shows as well. One of them is Law of the Jungle. In the series, celebrities are left in remote locations and have to survive on their own. He appeared in the Law of the Jungle Indochina series, way back in 2015. Now when you know about some of the best works of this Korean star, you can easily watch his shows. 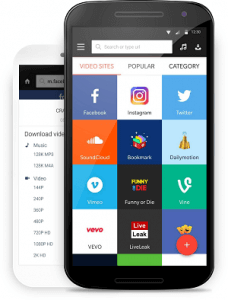 Simply download Snaptube on your Android device by visiting its official website. After that, you can look for any video of your choice and stream it on your device without paying anything. Yes – it is as simple as that. You can listen to Park Hyung Sik’s songs or watch all the above-mentioned shows as well. The app has a fast-loading video player that supports HD videos. You can find all kinds of Korean and Asian videos on the app. Also, it has a wide collection of international shows and movies that you can watch for free.